District officials, FEMS, E Street Development Group, and members of the community gathered at 400 E Street to celebrate the opening of a mixed-use development, including a new Engine 13 firehouse, Hyatt Place hotel, KidPower headquarters, and ground floor retail. Back in the summer, I got a tour of the project while it was still under construction. FEMS will be moving to the new firehouse sometime over the next month or so, while Hyatt Place is already accepting guests. The project started construction a little less than two years ago; however, it has been planned for several years. 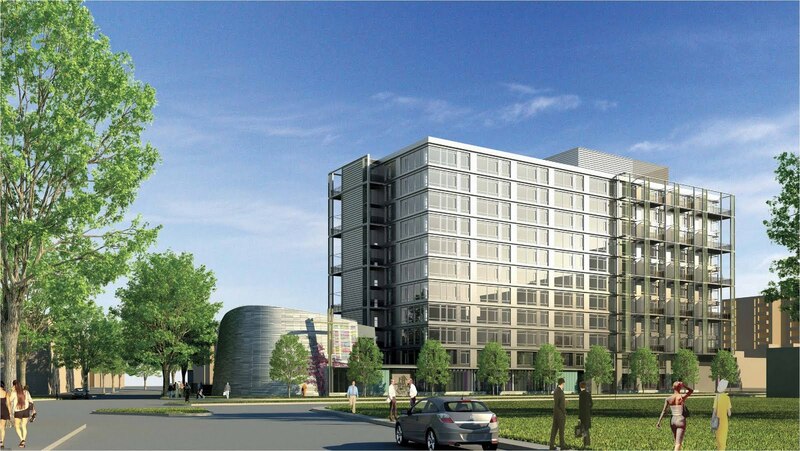 In fact, my very first post on this blog in 2008 had to do with DMPED’s solicitation of development proposals for 400 E Street and a nearby parcel at 6th and E streets. The developers will start designing the second phase of development starting in 2016, with construction likely beginning in 2017. Below are some photos from the ribbon-cutting. It appears that the retail space on the ground floor of Camden South Capitol will instead be used as residential. It was reported in the Washington Business Journal that a permit was granted to convert the 4,382 SF of ground floor retail into five apartments. These will be the only residential units in the building that front South Capitol Street. Camden South Capitol opened at the northwest corner of South Capitol and O streets in 2013. At the time, the developer was hoping to attract a restaurant to the space, located across the street from Nationals Park. On the same block as Camden South Capitol, the planned residential building just to the north of Camden South Capitol plans to include ground floor retail. Rename a four-block stretch of Half Street between Potomac Avenue and V Street as “Pepco Place” along with new signage. Buried in the 209-page-long Budget Support Act, the provision would allow the D.C. Department of Parks and Recreation to "contract for, pursuant to all applicable contracting and procurement guidelines, advertisements and sponsorship for recreation centers, fields, pools, and play courts within the Department's inventory. "…The provision would also allow for the establishment of "friends groups" -- organizations of residents willing to help maintain their local parks and recreation centers, be it by maintaining them or raising funds to help improve them. Additionally, fees gathered from developers seeking exemptions from zoning laws will go towards parks and recreation centers located in the ANC where the development is to take place. In Southwest, “friends groups” have been created for multiple DPR facilities, including the SW Duck Pond and the 3rd and I Streets Park, and one may be formed for Randall Recreation Center. Meanwhile, Under Armour will have its logo on the new turf field it’s helping to finance at Randall Field, which is currently under construction. Most of the $25 million contributed by Pepco has already been used by the District government to place in escrow, covering the cost of acquiring Akridge’s two-acre parcel in the planned soccer stadium footprint through eminent domain. According to the Bowser administration, the Pepco sponsorship deal is separate from negotiations to support the Pepco-Exelon merger, but yesterday at a press conference in Buzzard Point by environmentalists and good government groups, they claim the two are related and are calling for an ethics investigation, as reported in The Washington Post. 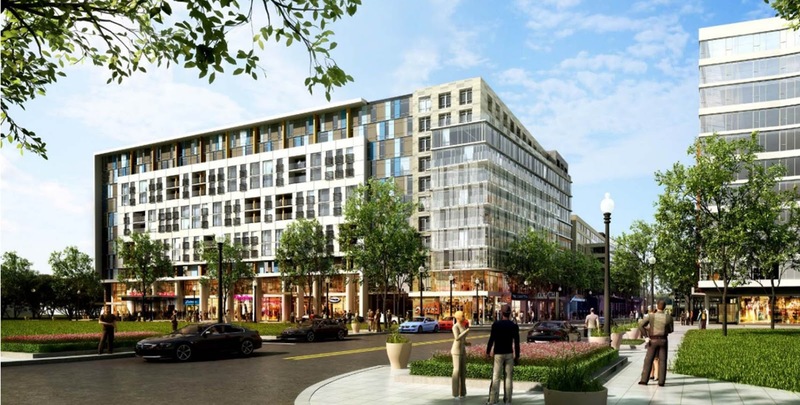 A public meeting was held last month by DCHA, master planner Perkins Eastman, and consultant HR&A Advisors to discuss the redevelopment of Greenleaf. Unfortunately I was out of town, but slides from the October 24 meeting have become available. From what I’ve heard, over 100 people attended the meeting at Westminster Presbyterian Church, including Greenleaf residents, the greater Southwest community, and public officials. Greenleaf stretches 15 acres across several city blocks on either side of M Street and includes 493 public housing units in 23 buildings. The majority of the units are 2BR apartments, but the mix ranges from 1BR up to 5BR units. Utilize a mix of tall and low buildings. Create a well-defined public green space. Use trees to beautify, help make place, and create a healthier living environment. Connect the new Greenleaf to other areas of the city. All new construction must first and foremost be exemplary urban architecture. The October meeting was the first chance for the greater Southwest community to get involved in the redevelopment process, but Greenleaf residents have been engaged over the past year or so. The redevelopment plan will be created over the next 6-9 months with two additional community meetings planned in the interim. The final plan is expected to be completed sometime in mid-2016. After that, an RFP will be released, which will take another 6-9 months to receive responses, get community input, and select a winning developer. Then, developer negotiations will take a year to 18 months to complete, but design and permitting can be done concurrently. After that construction can begin on the first phases, which can take 2-3 years to complete. Other phases will be completed depending on market conditions. The meeting will allow affected residents to give feedback and receive information on the upcoming closure. The marina is in dire shape and needs substantial repairs, and economic constraints prevent the marina from being profitable in its current state, according to National Park Service officials. The meeting will be held at Westminster Presbyterian Church. At last Monday’s ANC 6D monthly meeting, PN Hoffman presented their plans for a mixed use development at the site of Riverside Baptist Church, located at 7th Street and Maine Avenue. Plans call for a 7- to 9-story, 164,000 SF rental apartment building on the north end of the site with approximately 170 units, ranging in size from 450 to 1,500 SF. There is space on the ground floor for community-serving uses, such as a daycare center. 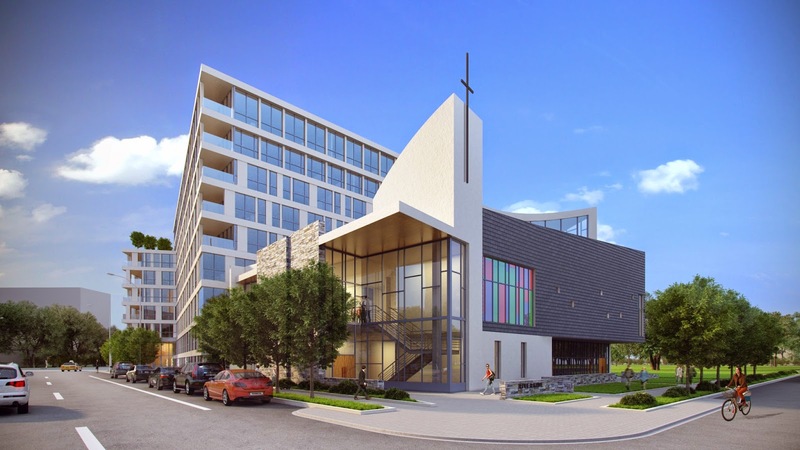 On the south end of the site along Maine Avenue, a new two-story sanctuary for Riverside will be built. Some changes have been made to the design from Geier Brown Renfrow (GBR) Architects and Studios Architecture since the PUD was filed several months ago. The top two floors of the apartment building are now slightly more transparent. The church’s design has also been revised – there is now a richer level of materiality. Along 7th Street, there will be 1,700 SF of private space available for public use with bench seating, landscaping, and a water wall, which will serve as a gateway to The Wharf development to the south. The intersection of 7th and I streets will be reconfigured and simplified by the removal of the median that currently exists, as well as the addition of more crosswalks and a parking lane on 7th Street. Residents of the apartment building will not be eligible for Residential Permit Parking (RPP) spaces. The developer will work with a resident group to determine which neighborhood-serving uses should be placed on the ground floor – $25,000 will be set aside to help subsidize a daycare operator in the space, or other tenant type chosen by the resident group. In addition, residents have requested that the developer install a dog park within the property to minimize the amount of dogs in the surrounding neighborhood; PN Hoffman is exploring the idea of placing a dog run on the roof of the apartment building. After some discussion, the commissioners voted unanimously to support the conceptual public space design, but deferred support of the consolidated PUD until their November meeting. The reason for the delay is that the commissioners would like PN Hoffman to draft a construction management plan for the development since it is located across the street from Jefferson Academy and AppleTree’s temporary home (AppleTree used to have facilities at Riverside and Amidon-Bowen, but moved to trailers on Jefferson’s campus last year). In addition, there was some concern about whether a one-time $25,000 subsidy would be sufficient to allow low-income children to use the proposed daycare facility. The PUD hearing is scheduled with the Zoning Commission on November 30. St. James Mutual Homes is the latest multifamily residential community in Southwest to be designated a historic landmark, following Potomac Place Tower, Harbour Square, Tiber Island, and Capitol Park Tower. The community is a series of 16 garden-style multifamily buildings located east of Channel Square apartments on the 200 block of O Street, P Street and along James Creek Parkway, which was constructed by the Washington Sanitary Improvement Company (WSIC) and its off-shoot, the Washington Sanitary Housing Company (WSHC) in 1937 and 1939 as moderate-income housing. The complex was designed by Appleton Clark in the Colonial Revival style. Buildings associated with specific events that have made a contribution to the broad patterns of our history. Buildings that illustrate the initial development of the apartment movement as it relates to the need for housing, including the introduction of the building type and the specific form seen. Buildings that are parts of clusters, corridors, or districts that illustrate the patterns of development of the city. Buildings that reflect economic forces, both external and internal, that altered the development of the city. Buildings that reflect trends in the attitude toward the stratification or segregation and integration of religious, racial, economic, or other social groups through the building’s residential character, architectural form, and/or location. Buildings that are parts of corridors or zones that illustrate changes in zoning and planning trends and specific regulations. Of the 107 shareholders at St. James, 100 voted in support of pursuing historic designation. The ANC unanimously supported the historic landmark application at their September meeting and the Historic Preservation Review Board (HPRB) staff report recommended approval. The HPRB reviewed the case on Thursday. The ANC voted unanimously on Monday on a resolution, sponsored by 6D-03 commissioner Rachel Reilly Carroll, called “Resolution in Support of Avoiding the Displacement of Public Housing Residents During the Redevelopment of Public Housing Buildings in the Southwest Neighborhood,” which supports a “Build-First” model for Greenleaf’s eventual redevelopment. 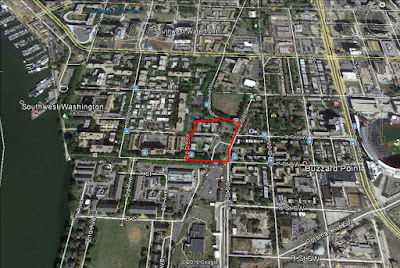 The resolution urges DCHA, the DC City Council, and the Office of the Mayor to form an Interagency Working Group within the next 30 days to evaluate the feasibility of executing a “Build First” strategy utilizing one or more of the 21 publicly-owned parcels in Southwest identified during OP’s recent Southwest Neighborhood Plan process. In addition, the ANC would like at least one commissioner to serve on the Interagency Working Group and to report on its progress and findings at least once a month to the Greenleaf Neighborhood Advisory Group until redevelopment commences. In previous cases across the city where public housing complexes have been redeveloped, current residents were moved to other public housing complexes in the city or given vouchers while redevelopment occurs and once the new housing is built, some of the residents who meet eligibility standards are allowed to return. In the case of Capper Carrollsburg in neighboring Navy Yard which was redeveloped through HUD’s Hope VI program, it’s been about a decade since the old buildings were demolished and many former residents remain displaced. In contrast, a “Build First” model allows development of other parcels in the vicinity of the area to be redeveloped first so residents move only once, then redevelopment can occur. In theory “Build First” a great idea, but in practice it is difficult to implement since there usually isn’t enough land available or the political will to do it. The CBCC, along with other neighborhood groups have been working for months on how to implement a “Build First” strategy for Greenleaf, so existing residents are not displaced from Southwest while the public housing complex is redeveloped over the next several years. Ward 6 Council member Charles Allen has also expressed support. As the ANC resolution states, there are 21 publicly-owned sites in Southwest that could potentially be used to help meet this goal. One of the components of Greenleaf is a seniors building on Delaware Avenue and M street, and displacement would be more of a hardship to this population, so the focus has been on finding a site to build a mixed-income seniors building. The Unity Clinic site at Delaware Avenue and I Street has been identified as a potential location for such a complex, combining health services and mixed income seniors housing. While the three-story Unity Clinic building is a historic landmark, there is the potential to build residential on top of and on land adjacent to the clinic. Don’t forget there will be a charrette tomorrow afternoon hosted by DCHA regarding Greenleaf’s redevelopment from 1-3pm at Westminster (400 I Street), which is open to the public. The Board found that a new building addition in the proposed location could be compatible, but that revisions were needed to achieve compatibility with the site and existing building. 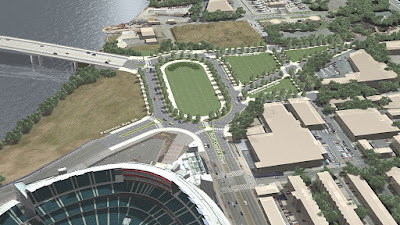 Among its comments, the Board found that the pool pavilion should be retained, the end wings of the new construction should be eliminated, the design and materials of the new building should be restudied, the landscape plan should continue to be refined to closely follow Kiley’s design, the perimeter fence should ideally be eliminated or relocated and simplified, and that any enclosure of the ground level should be with much greater setbacks of the glazing. The existing pool house will remain. The building mass has been simplified – the eastern and western nubs have been removed. Metal panels are no longer the dominant skin material of the addition – terracotta and pre-cast panels were added. The landscaping will more closely resemble Daniel Kiley’s original plan. The ground floor of the existing building will remain open – no residential units will be added; however, the total number of units in the new building increased from 300 to 330 units. 8% of the units in the new building will be set aside as affordable housing. View of courtyard (addition at left). View south from SW Freeway. End cap view from 4th Street. Alternative design for end cap. The developers will present their revised plans to the HPRB tomorrow afternoon at 1pm. 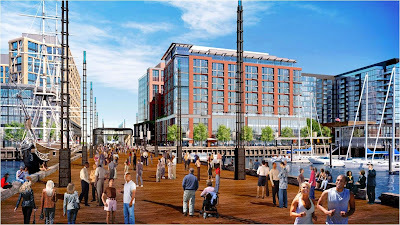 At last night’s ANC 6D monthly meeting, the commissioners unanimously passed a resolution strongly recommending that DMPED choose the PN Hoffman/AHC proposal for the District-owned NE parcel of Waterfront Station. It was one of three proposals presented during a community meeting on September 10. This proposal was also the one which received overwhelming support in an unscientific poll conducted of SWTLQTC readers over the past month with 83% of the votes cast. 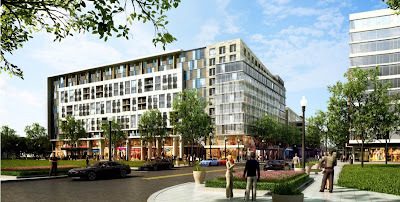 The other two proposals were from MRP Realty with Taylor Adams Associates, Blue Skye Development, McCullough Construction, Kettler and HOU; and Republic Properties with the Anacostia Economic Development Corporation (AEDC) and Bozzuto Management. PN Hoffman’s presentation was unique in that the amount of proposed retail space was more than double the amount proposed by the other teams and prospective retail tenants were announced. The development plan includes 443 rental apartment units, 22,500 SF of community-oriented retail, and a 10,000 SF, 200-seat black box theater, all in a LEED-Gold building designed by Torti Gallas. The 133 units of affordable housing includes 34 units at up to 30% of AMI and 99 units at up to 50% of AMI. Retail would be located on 4th Street, wrapping around to a new private drive on the north end of the site. A letter of intent has been signed by Constantine Stavropoulous, the owner of Tryst, Open City, The Diner, and The Coupe to open a diner at the corner of 4th Street and the private drive. 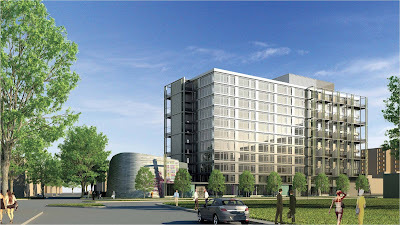 Other retail uses such as a daycare center and artist space could be located on the north side of the development along the private drive, which serves as a connector between the Southwest Library branch and the SW Duck Pond. The private drive could be closed off at times for arts-focused events. Forum Theatre would make the return to the District from its current location in Silver Spring to operate the black box theater, which began 12 years ago on H Street NE. The theater would be located on the south side of the site below the courtyard, which would allow the theater space to be without columns. 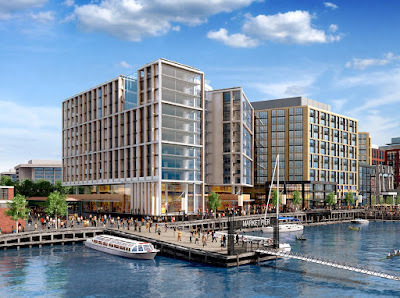 The PN Hoffman team would use the model they implemented to engage the community during The Wharf’s development process with a community benefits group and a construction issues group. During the question and answer period, it was mentioned that a hardware store was not considered by the development team for this project because they are in negotiations to bring one to The Wharf along Maine Avenue. Broadening the amount of affordable housing in Southwest and deepening the number of affordable units at lower AMI levels. Meet or exceed the amount of retail space that was on the old Waterside Mall footprint. Create more neighborhood gathering spaces for Southwest residents. Establish Southwest as a cultural and creative destination. Based on these four principles, the resolution stated the PN Hoffman proposal “most completely addressed the hierarchy of needs consistently articulated by ANC 6D over time and supported in the responses of the members of the Southwest Community through the Small Area Plan process.” In addition, the commissioners felt that PN Hoffman has demonstrated a commitment to long-term ownership and community participation through the development process of The Wharf. DMPED is likely to make a final decision on which proposal to choose in November. The winning team will then need to take the proposed development through the second stage PUD process (with ANC support) and the DC Council will need to approve the terms of the proposal before any construction can begin. 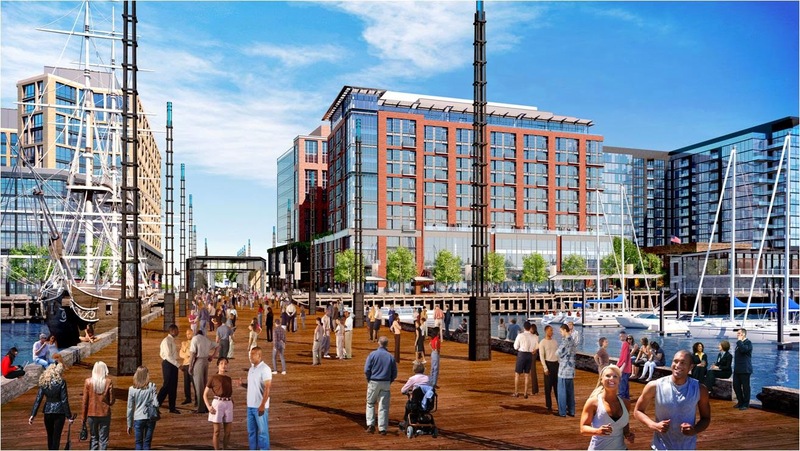 This week brought news that a restaurateur will bring two or three new restaurants to The Wharf, but another operator has chosen to not move forward with plans for one there. The WBJ reported earlier this week that in addition to opening an Asian restaurant serving Filipino cuisine, Cathal Armstrong has a letter of intent to open a distillery and was in discussions to operate a rooftop lounge at the InterContinental Hotel. Although the article didn’t say where the distillery would be located, one is planned at the Municipal Fish Market. The Filipino restaurant and distillery would open in 2018 while the lounge would open by 2017. 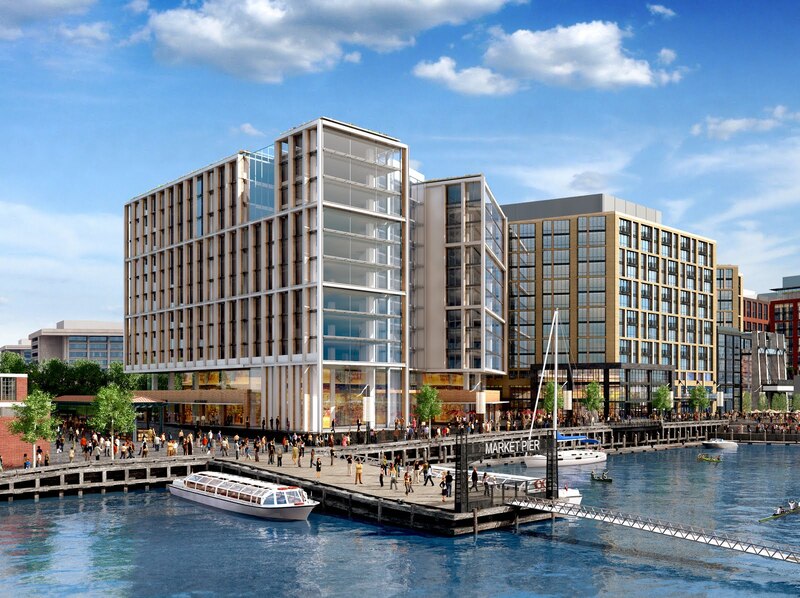 In other Wharf news, the first phase of development was financed with $400 million in construction financing and $145 million in TIF/PILOT bonds, according to a press release. Sales began at 525 Water Street condos last month where 30 units were released for sale with prices ranging from the $400s for 1BR units to the $900s for 2BR/Den units. Condo sales at VIO began over the summer – all 25 units in the initial release have been reserved. The next release at VIO won’t occur until sometime in 2016. The sales center for both condo buildings is located at the former Channel Inn at 690 Water Street. 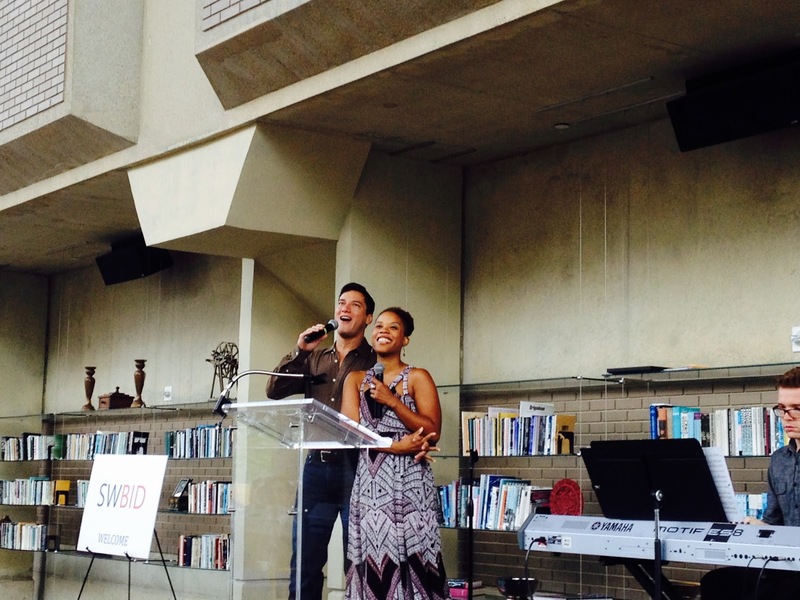 SWBID held its inaugural Chairman’s Breakfast event on Wednesday morning at Arena Stage. This was a coming out party of sorts for SWBID, which has been busy behind the scenes getting the organization set up. 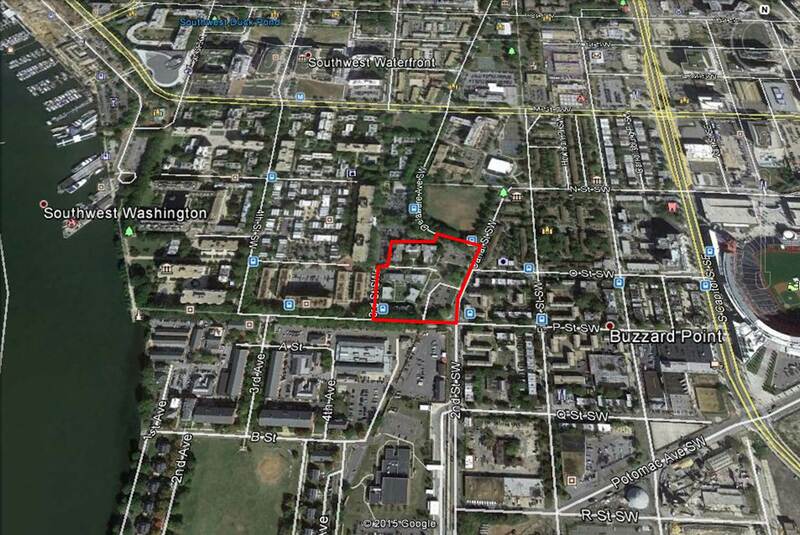 SWBID's boundaries are roughly from the National Mall to M Street north-south and South Capitol to 15th streets east-west. Several entities are involved with SWBID, including Vornado, GSA, the JBG Companies, Forest City Washington, Hoffman-Madison Waterfront, Boston Properties, MetLife, and others. 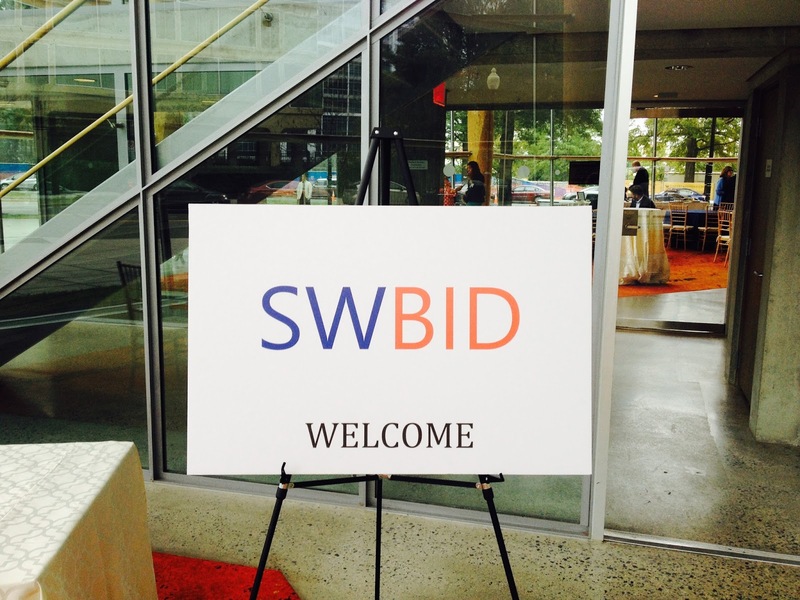 SWBID's Board of Directors are made up of Geoffrey Griffis, Chair; Jessica Schoen, Vice Chair; David Smith, Vice Chair; Monty Hoffman, Treasurer; and Thomas Cicotello, Secretary. Arena's hit production of Oklahoma! to start the program. SWBID, at 851 acres is the largest BID geographically in the District – for comparison, the Downtown BID contains 639 acres. 5 hotels, 2 museums, 3 churches, 21 residential projects with 1,200 units, and a new public library are in the development pipeline within SWBID. 19K people live within a mile of Arena Stage. 60K people work in the BID; by 2018 that number will increase to 69K. There are 959 hotel rooms in SWBID; by January 2018 the number of rooms will double. There are 21M SF of office space in SWBID; GSA owns or leases 15M SF. 39K people use L’Enfant Plaza Metro station, more than Union Station. 110K people came to see the SW Waterfront fireworks show at this year’s Cherry Blossom Festival. The Museum of the Bible, which is opening at 4th and D streets in 2017, expects 3 million visitors during its first year of operations. Implement a Clean Streets program. Partner with District and Federal agencies to make the area more walkable. Work with cultural and hospitality partners to keep occupancy levels high. Direct the launch of the SW Ecodistrict. Make the area a safe and great location for business and an attractive location for residents to live. 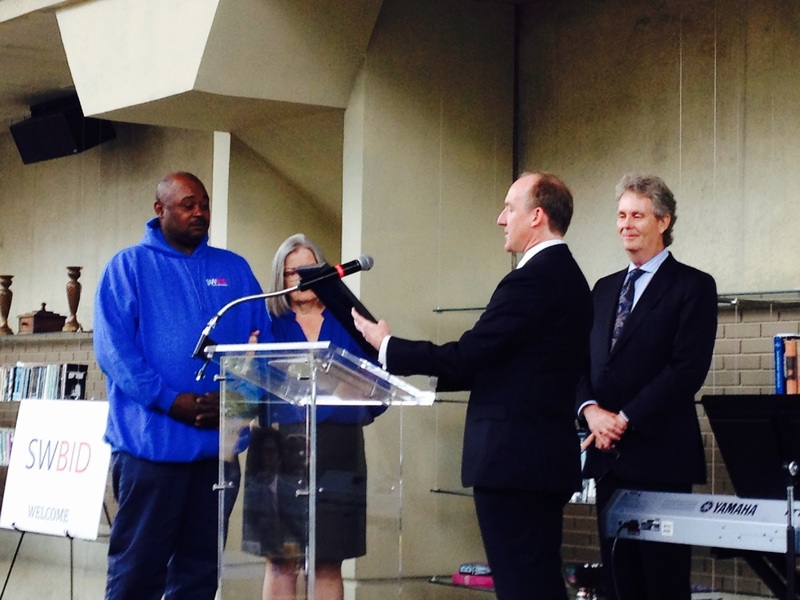 A certificate was awarded to SW resident Terrence Williams. SWBID organized a test clean up of 4th Street last month, but in the coming weeks, the cleaning crew will be in uniform doing regular clean ups around the BID.